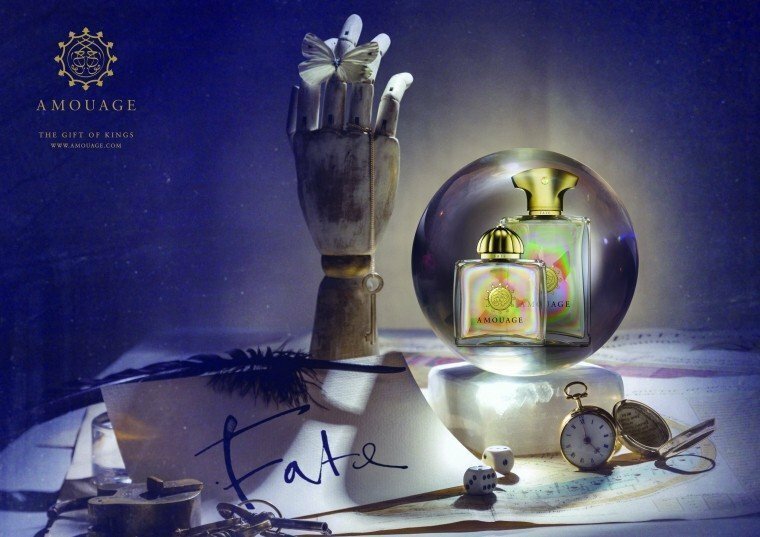 Fate Woman (Eau de Parfum) is a popular perfume by Amouage for women and was released in 2013. The scent is oriental-spicy. The longevity is above-average. It is still in production. Before dabbling in Fate (no pun intended), my two favorite Amouage perfumes were the women's versions of Memoir and Sunshine. Fate is uniquely different from both of these fragrances. Amouage Fate starts off with a sweet spicy note, bergamot, a tinge of powder. While many powdery perfumes exude a strong bitter scent, this note is different. It is a sweet vanillin powder, nothing overwhelming and no hints of violet or iris. This powder note is often present in perfumes that contain a combination of labdanum and vanilla. It stays persistently throughout the life of the scent, on my skin at least. Next, we have the incense notes which skillfully adorn the aforementioned spice and vanilla. This prevents the perfume from being a traditional gourmand while still maintaining the sweet aspects of the fragrance. Although I don't get the same obvious leather here that I detect in leather-dominant scents, it appears at the base of Amouage and gives it a very slight animalistic nature. Do not fear my use of the word animalistic here, for Fate is very far from being overwhelming or off-putting. I was actually afraid to blind buy Fate because the notes suggest a style of traditional fragrance I wouldn't normally be able to pull off, but alas Fate has found me and I couldn't be happier. 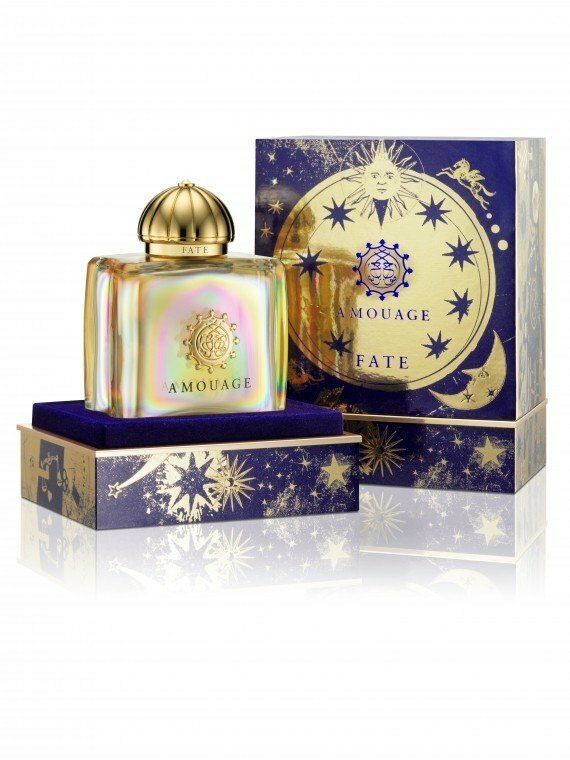 Amouage Fate is a very different experience for everyone, and like with most perfumes you cannot truly know whether or not it will suit your tastes until you test it. I am partial to woody, spicy, and sweet perfumes myself, and for me it is one of my favorite scents to date. I can wear it in any weather without feeling suffocated or overwhelmed. Fate manages to find the balance between presence of scent and projection without sacrificing one aspect for the other. The quality of this perfume is superb, and the scent lasts all day albeit going through variations and changes in notes (I.e. Fading of the bergamot and dominance of incense). I don't find this perfume to be very floral, but this might be because of how floral perfumes interact on my skin. Lastly, I find Fate to be what Amouage does best: Incense and complexity. While the fragrance maintains the individuality of notes, the blending is so refined that it takes you some time to figure out exactly what you are smelling. Some people fear that Fate may be too old-fashioned for them. I think that Fate is more of a modern take on classic fragrances than anything else. Fate Woman is a sort of light, pleasant, unisex, kind of generic and “all-rounder” bright chypre with a zesty, sweet, invigorating opening comprising citrus, elemi, down to herbs, amber, sandalwood, warm and earthy resinous-labdanum notes and the usual soapy-powdery stuff. The leather note is initially barely perceivable, while it becomes a bit more substantial as time passes, together with the civet, slowly bringing Fate towards spicier, more herbal and darker territories. A sort of poor man’s Shalimar or Chamade at three times the price, just fresher and spicier. As much elegant and perfectly executed as derivative and boring, in my opinion. First 30 min: "Fate" has gorgeous topnotes. Bergamot, cinnamon, pepper - I love this fresh, exhilarating start. After a very short while, I can also perceive the flowers used by perfumer Dorotheé Piot (rose, narcissus, jasmine). The flacon is breathtakingly beautiful. I'm delighted with this stuff - could "Fate" become my first Amouage love? I spray some of it on my coat and on my scarf. Gorgeous, gorgeous, gorgeous. The friendly shop-assistant makes a small decant for me, because I tell her that - finally- this might be the right Amouage for me. After 45 minutes: "Fate" has changed. OMG, I can't stop smelling my scarf and my wrist. What's the ingredient which ruins it? The initial beauty of topnotes and heart is gone. I'm left with some vile note I must needs wash off. Could it be castoreum? I don't know. My silk scarf needs a wash, too. Once again, Amouage doesn't work for me at all. I have the impression that Amouage-fragrances are not part of my destiny. "Fate" is sold at a price of approx. 240 Euros. I had a narrow escape. I too can't figure it out completely. It's very sweet the first ten minutes. Not candy floss , not chocolate, not caramel. Some sweet I can't put my finger on at the moment. The middle part is my favorite. Some floral accord tainted with heavy labdanum. I haven't gotten my head around it completely yet. What I like for certain is how it's not typically Amouage. I think Fate Woman is what Christopher Chong was referring to when he said they're heading in a new direction. I don't complain about seamless blends. I enjoy not picking out notes sometimes. Fate Woman opens with a very ephemeral splash of light bergamot supporting a stronger rose-led floral melange. As the composition enters its early heart the rose-led florals remain in full force, as gentle hints of underlying cinnamon spice and frankincense add additional richness, with significant amber-like rock rose (labdanum) adding depth. During the late dry-down the composition turns bitter-sweet and slightly powdery as the amber-laced florals recede and vanilla from the base emerges as late star, balanced by supporting benzoin. Projection is good and longevity outstanding at about 15 hours on skin. Fate Woman is one of those compositions that is difficult to outright dislike. 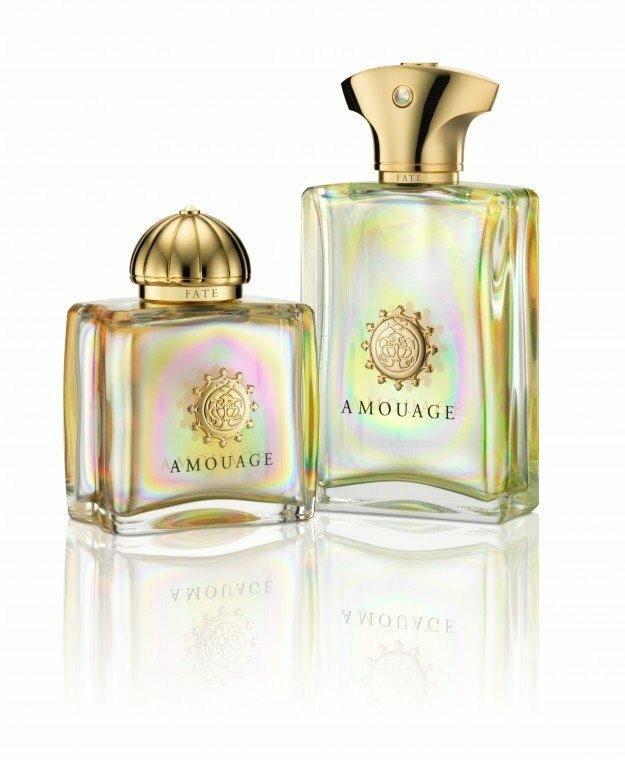 It marks a significant departure from Amouage's other offerings with a more classical structure, while subtle ties to the house (and its counterpart Fate Man) pop in and out through most of its development. During the fragrance middle, the amber-like rock rose gives the rose-led florals richness and body while adding just a touch of sweetness and underlying powder. Even the base is composed extremely well as the starring vanilla is balanced by supporting benzoin to create a dichotomy of countering the inherent sweetness of the starring vanilla with a bit of the earthiness from the resinous benzoin. All this polish makes for quite the accomplished composition by perfumer Dorothee Piot, but somehow still comes off as somewhat detached. The bottom line is the $375 per 100ml bottle Fate Woman is a well-composed, distinctive composition from Amouage that will please most but somehow still doesn't quite click with this reviewer, earning a very good 3.5 stars out of 5.